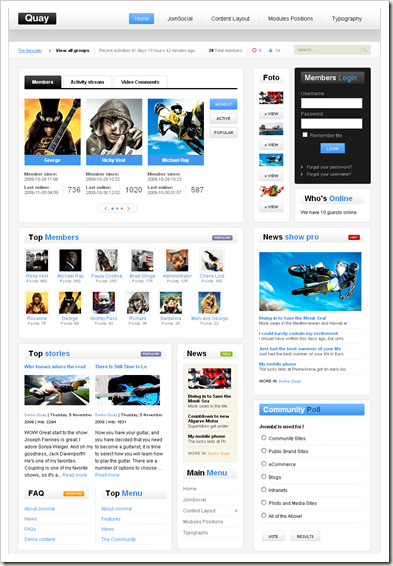 GK Quay - multifunctional template social network, developed based on CMS Joomla. Design pattern is presented in bright colors, which can be easily configured via the built-manager template settings. Popular branded platform studio provides full control over all layout options, thanks to the newest Web - technologies. This template works correctly on all screens of mobile devices support additional extensions compatible with all browsers and loads quickly. Added support of the social networking component JomSocial 2.2.